I'm loving Shades! He is like the John McClane of the chicken world! 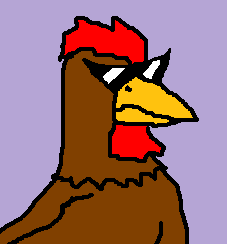 this is like a chicken version of bro strider from homestuck. you have my approval. that guy is so awesome, I would forgive him for exploding a bridge.